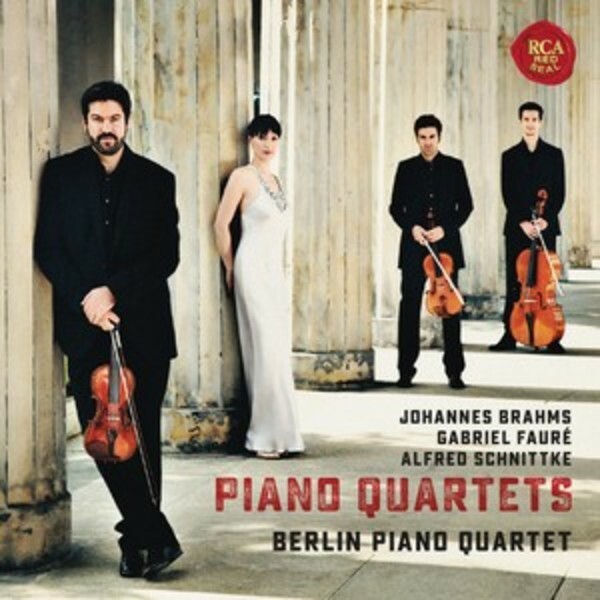 Featuring string players from the world-renowned Berliner Philharmoniker and the French pianist Kim Barbier, this first album by the Berlin Piano Quartet on Sony Classical brings together works by Brahms, Faur�, and Schnittke. Gabriel Faur�s Piano Quartet No. 1 in C minor, op. 15 begins with a grand gesture. The piece was premiered on 14 February 1880 at a concert of the Soci�t� National de Musique, established to promote French orchestral and chamber music works. With irresistible momentum, it comes to an end in a rhythmically agile Finale, textured by juxtaposing triplets (predominantly in the piano) against punctuated rhythms in the strings.